The Sail and Anchor is an iconic Fremantle landmark. 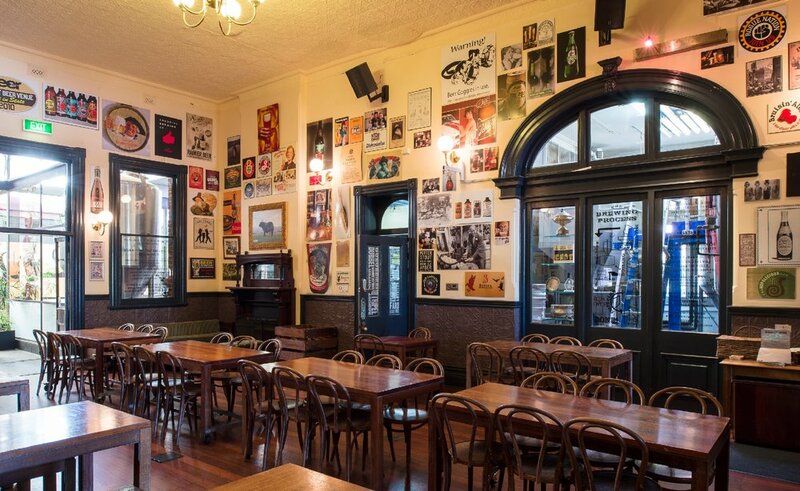 Come down and see why this heritage listed pub is so appealing. With the spiralling staircase, wood panelled walls, pressed tin ceiling and friendly staff, this venue is definitely worth booking for your next function. Let’s not forget the main attraction though, the beer. Boasting 40 cold taps, three hand pumps, a hopinator and four-bars, it’s no surprise that we are the leader of the craft beer revolution in Fremantle. The tap beer selection changes regularly, offering old classics, new favourites, small batch releases and seasonal styles making a visit to the Sail and Anchor an adventure. We have several great areas within the hotel suitable for function events including the South Terrace Balcony, Freemasons Room, 1854 Room and the Market Side Bar. Please do not hesitate to contact us and find out how we can help you celebrate your next special occasion.